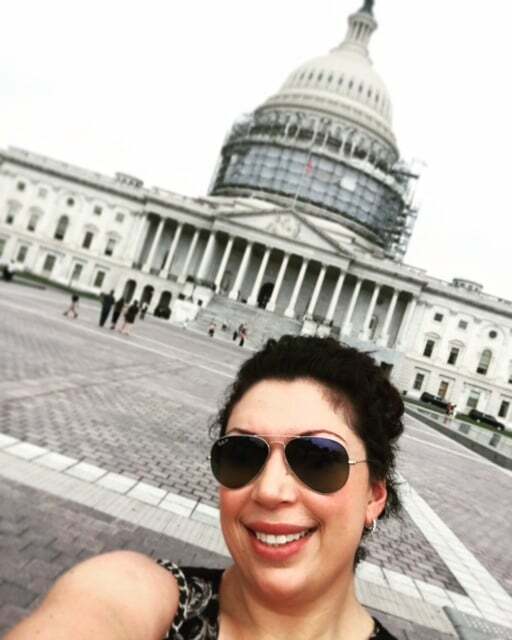 During our two year appointment on the Young Farmers and Ranchers National Committee, we have the opportunity to conduct Hill visits in Washington DC. As part of our training, we are asked to focus on a particular area the Farm Bureau is concerned with. For myself and Tim, we have chosen to focus on tax reform. We spent a great deal of time preparing for our visits by researching our topic, meeting with AFBF staff, and practicing by participating in mock meetings. We prepared to deliver our messages by answering these questions, who am I? What is my issue? What is my message? How can they help? Although many people assume that because Tim and I both come from family farms, it should be easy for us to begin farming. Nothing could be further from the truth. We want to work hard for the opportunity to farm, just as our families did. Unfortunately, the high capital gains tax is creating a barrier for young and beginning farmers to purchase land. 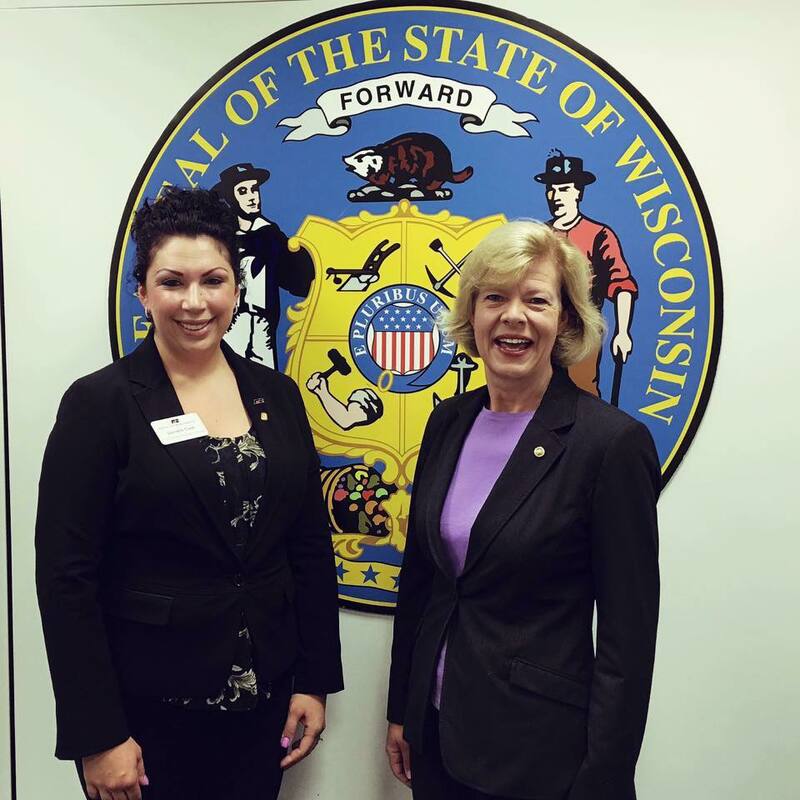 During my visit with Senator Tammy Baldwin, I told her about how a few years ago, a neighboring farm came up for sale after the owner passed away. He held onto the farm for so long because if he had sold it when he was alive, he would have to pay capital gains tax. The farm was inherited by the family who was not involved in production agriculture. Therefore it was sold to the highest bidder, and since the older generation is not selling their land due to the high capital gains taxes, land is hard to come by in our area. When it is, it goes for top dollar and as beginning farmers who are limited by the amount of capital we have access to, we could not afford to pay for the land that was sold for 20% higher than what it is worth. Senator Baldwin sympathized, she knew that this problem is not uncommon in agriculture or in the state of Wisconsin. Our visit was short and sweet, I invited her to visit my family’s farm sometime and told her I wanted to be her go to person when it comes to issues affecting young and beginning farmers in Wisconsin. I cannot imagine the issues that Senator Baldwin deals with on a regular basis. I truly appreciate her willingness to take time out of her day to meet with me and to listen to my story and hear my concerns for the future of agriculture. I must admit, tax reform was not exactly in my wheel house before and I still do not claim to be an expert. But it is important to me, and it should be to other young and beginning farmers as well. This was my first time on Capitol Hill, and I assure you, it will not be my last. I am writing as a member of the organization Common Ground (a large social concerns group in southeastern wi). we are looking into the issues on immigration in the agricultural world. In particular the caucus I am in is working with a large number of Hispanics in Milwaukee–many of whom drive to nearby counties for work. If you or anyone in your organization is interested in the issues of immigration as it relates to your farms I would be most interested in connecting. You can call at 414-378-8562 or email above.